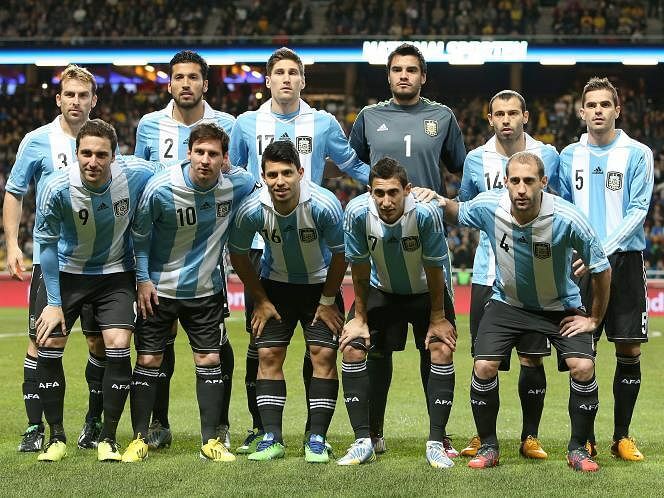 The real reason Argentina failed woefully yesterday is because they did not have enough blacks on the team. The Argentinians have tried whitening their team for decades and its no wonder they havent lifted the WC trophy since 1986. A cursory glance at bast Argentina sides highlights the key to their past success: an abundance of blacks. More blacks = more World Cup trophies. Fact. So "we" lost yesterday? How do "we" feel? Are "we" upset that "we" have not won the WC since 1986 or are "we" angry that "we" have not qualified for the WC since 1990? Jerome is the only black in the German team,not a landslide difference. Sergie Aguero was not fit.. Lavezi should have played on. I am loving the new CE. Its stupid comedy, but it's mostly stupid. Dude you're getting carried away with this. You've been here long enough to know this forum is made up of all kinds of crazy people with bizarre views. If a few boneheads attributed their loss to not having blacks in their side, does that deserve a post like this? By making a post like this you're proving you're no different from those crazy folks. You know your ignorance is annoying. Just because you made your comment on a predominantly black peoples forum does not mean its not racist and nasty, even if your joking. I don't know if you realize how stupid and inaccurate your statement is. Who is black on Argentina 86 team? Who cares,Argentina killed black people but hide the fact, most black people are not even aware of black people killed in their own country so I personally think that's the reason why African teams fail to win śhít! You too like ITK. You mean to tell me dis people don't get this thread? So glad Argentina didn't win. so sad that you had to explain his (lame) point.